We’re connecting musicians and dancers to give everyone a bigger, better, more visible platform to express their art. After all, creativity is powerful, but only if it’s shared with others. 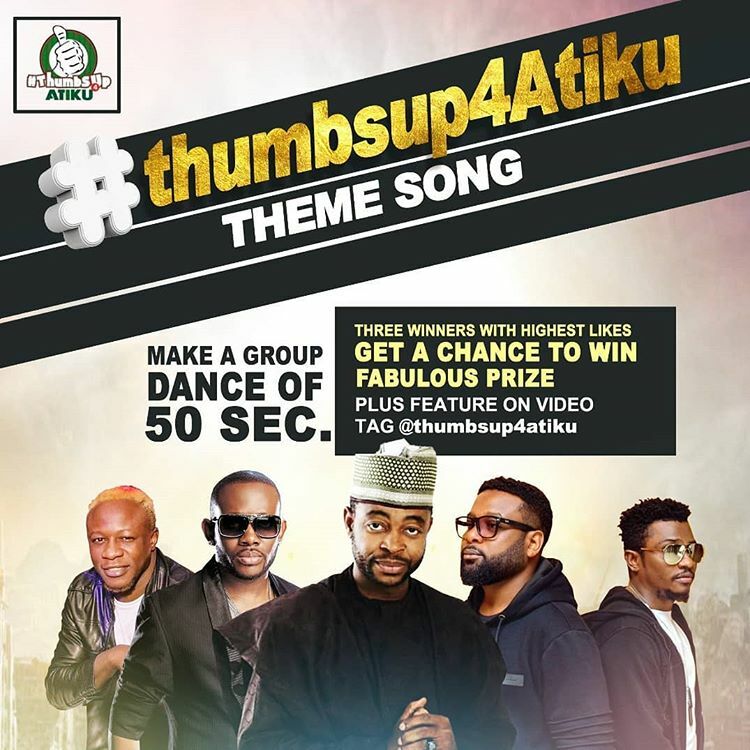 Dream up your own moves to this theme song of choice #thumbsup4Atiku. Post a video online in a group. And share your talent with thousands of other dancers around the world. Three lucky winner gets a Chance to be on the main video plus fabulous prize.